Published: January 16, 2019 12:06 Mythily Ramachandran, Special to tabloid! 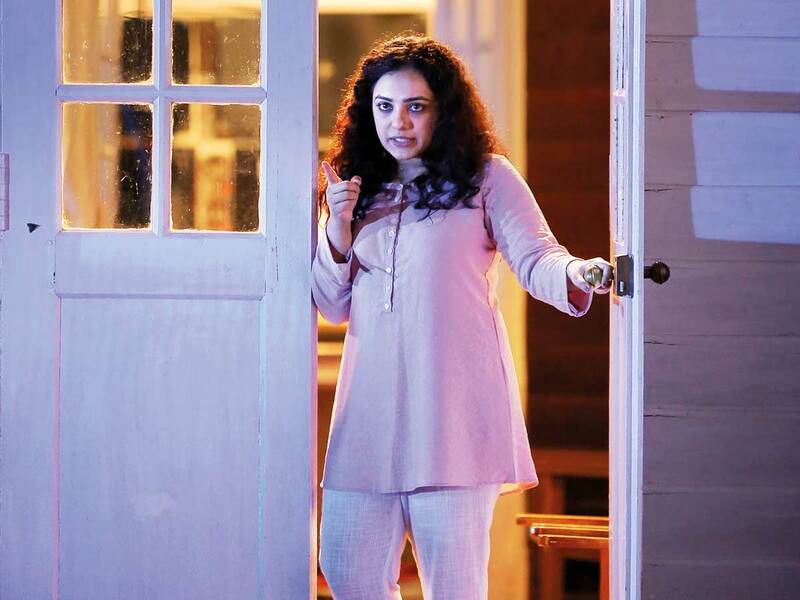 With upcoming film ‘Praana,’ actress Nithya Menon went through a new experience as the sole actor in this psychological thriller, probably the first in Indian cinema where an actress shoulders the entire film. Directed by two time Indian National Award winner VK Prakash, ‘Praana’ is based on scriptwriter Rajesh Jayaraman’s story. Menon plays Tara Anuradha, a writer who strongly believes in freedom, and who comes to stay in a haunted house. Jayaraman, who has worked with Malayalam directors Satyan Anthikaad and Shaji Kailash, told Gulf News tabloid! that his story is centred around a social issue. “‘Praana’ is not a horror tale but a thriller set in fear mode,” he said. Inducing the fear factor in the story that is pivoted around one character was a big challenge for Jayaraman. Made simultaneously in Hindi, Malayalam, Kannada and Telugu, Menon had to deliver lines in each of the languages. Working from 7am until 10pm, she went through four takes for every scene. Prakash said that Menon, who was well versed in all four languages, was completely involved and improvised on the sets. “She is an actor who can read between the lines,” he said. P.C. Sreeram is the cinematographer. Louis Banks is the music composer. Praana’ produced by Suresh Raj, Praveen S Kumar and Anita Raj releases in UAE on January 17.